We are delighted to announce the arrival of renowned French brand A.P.C to Rio Brazil! A brand which rejects over stylised and over hyped designs in favour of a more minimalist approach. The A.P.C story began in 1987 when founder Jean Touitou, unsatisfied with the quality of jeans available to him during a trip to Barcelona, decided to make his own! Favouring raw denim over the ‘badly washed’ jeans that dominated the market, Jean was inspired to create a range of simplistic but high quality clothing which put the emphasis back on quality over style- A.P.C was born! However, the climacteric event in A.P.C history can be traced to Touitou receiving a roll of high-quality Japanese selvedge denim from a designer friend, and this unique style of denim combined with Toutiou’s love of Swedish minimalism forms A.P.C’s signature look. 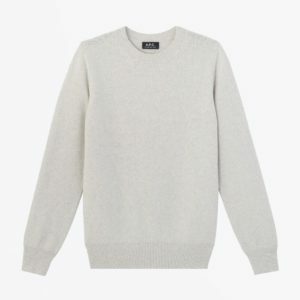 From it’s inception, A.P.C has remained reassuringly cool and to the present day, constantly does the basics correctly. 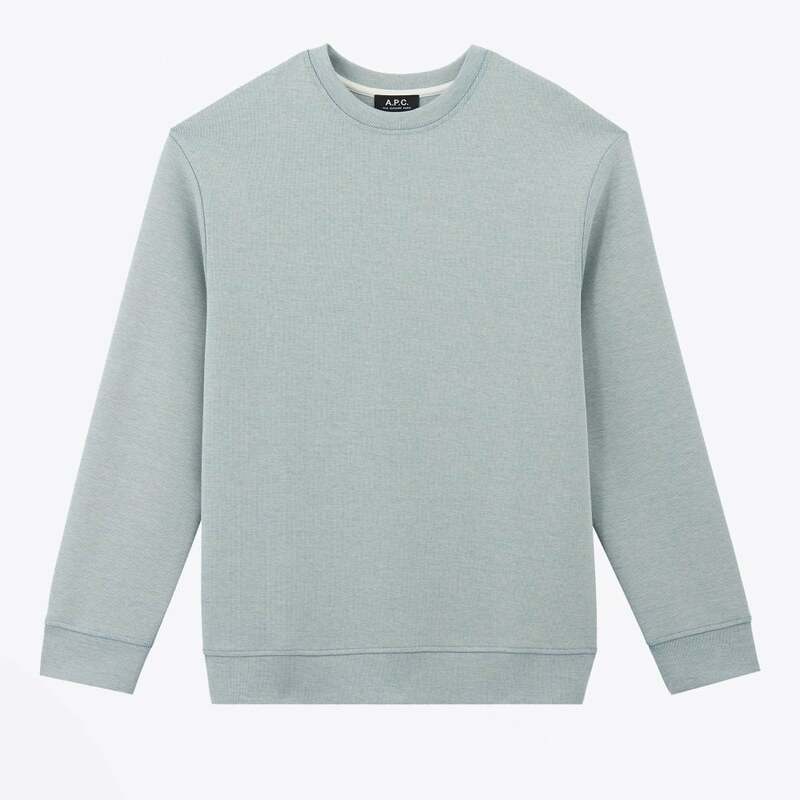 This light grey sweatshirt exudes Parisian cool which is achieved through quality stitching and excellent fabrication. This crew also offers a comfortable but stylish fit, ensuring a look of elegance in your downtime. 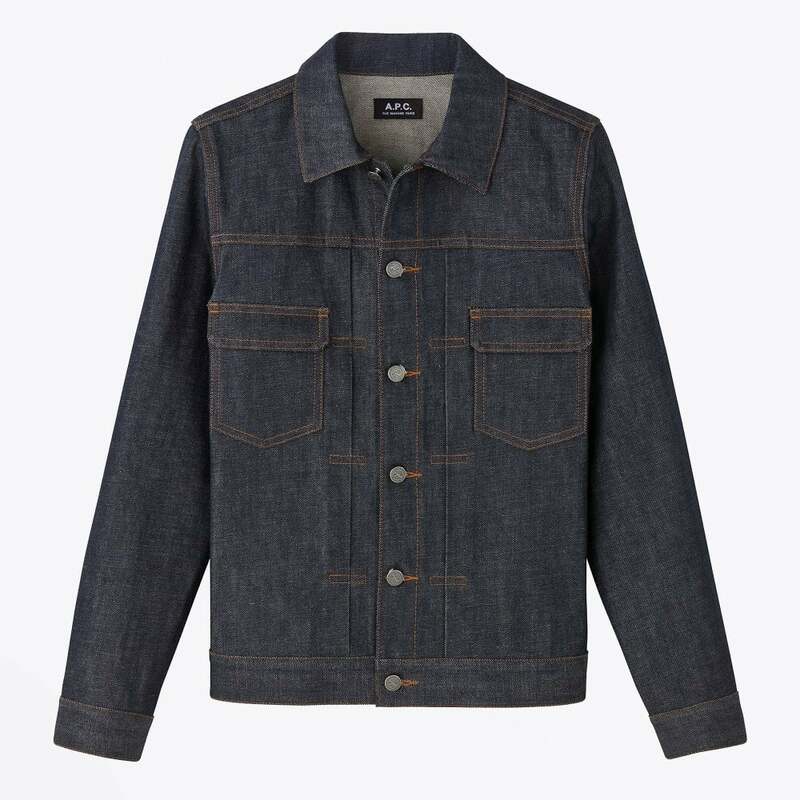 A.P.C’s denim jacket exemplifies how the brand refines wardrobe staples with a unique twist, with this jacket incorporating stiff denim and as such creates an authentically rugged look. To view our full range of A.P.C clothing, visit us at Rio Brazil in Victoria Square. Subscribe to our newsletter to get the latest news right to your inbox. Copyright © 2019 Rio Brazil Belfast. All rights reserved.